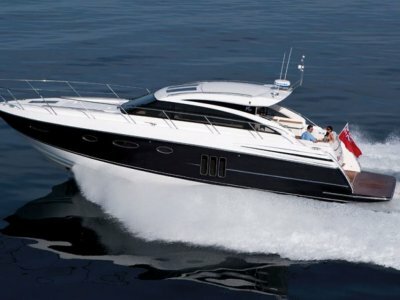 Certainly in the very top fishing machines world wide today, this enourmous CABO 52 EXPRESS is a fine example. Indeed, used only lightly this particular yacht has all the attributes of the finest fishing yachts, but also makes for an ideal and huge platform for day cruising and swimming. To this there is an oversize swim platform with tender and passerelle/davit crane over and very large sun pad on the forward deck.. In keeping with the very latest yachts, this Cabo 52 is equipped with a SEAKEEPER Gyro stabiliser and Humphree Full Active interceptors. Other features include well equipped galley, bow and stern thrusters, outdoor icemaker and wetbar with grill, fishing equipment and then too many features to mention!!!. 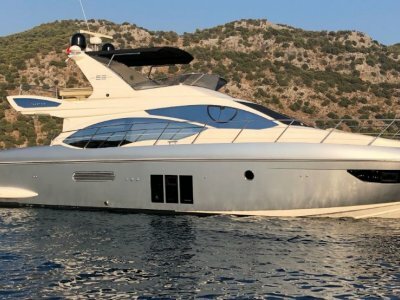 It is obvious from this that the owner is exceptionally caring in the use and maintenance, thus the yacht presents in impeccable condition.. . She is now offered for sale and immediate delivery. 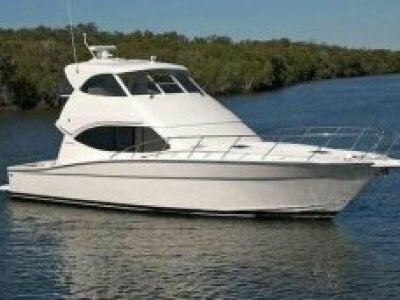 If it could interest you to enjoy this beautiful yacht this summer season (over Australia's winter!) 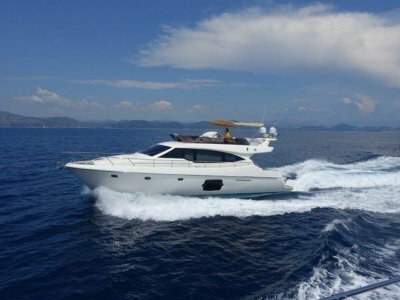 cruising in your own lovely yacht around Europe, then with our full assistance ship her back home, please contact us to discuss how easy this can be, We also invite any further questions regarding purchasing a yacht in Europe, using her here and or shipping her home to Australia or New Zealand. Being a European Yacht, it is 220V wired (same as Australia/New Zealand) with same for the gen set. The price excludes our selling and service fee.